Ahead of International Women’s Day on Friday 8 March, Virgin Holidays is shining a light on St Lucia – the only place in the world to be named after a woman, Saint Lucie – by giving its namesakes across the UK a chance to visit. Our research indicates that that two thirds of British women struggle to take holidays, due to the pressures of balancing work and family life – we don’t think that’s right so are going to do more to help ensure women get their fair share! We enlisted three of our retail travel consultants – Lucy Messina, Lucy McManus and Lucy Hudson – to gallivant about in the Caribbean and encourage more women to visit the beautiful island of St Lucia. To kick off the St Lucia and International Women’ celebrations, three Virgin Holidays travel consultants who share their namesake with the nation, Lucy Messina, Lucy McManus and Lucy Hudson, travelled to St Lucia to check the island out for themselves. St Lucia was named by French explorers who discovered the island in the Caribbean sea, and named it after St Lucy of Syracuse who was a Christian martyr, who died via persecution of the Roman Empire in 304AD. St Lucia’s female roots continue to ring true as women shape the destination it is today. The nation boasts the third highest number of female bosses per capita in the world with over 50% of management roles held by women. Win £8000 To Spend On Your Wedding With Pimms & RMW The List // Top UK Wedding Suppliers // Wedding Competition // Win Your Wedding. 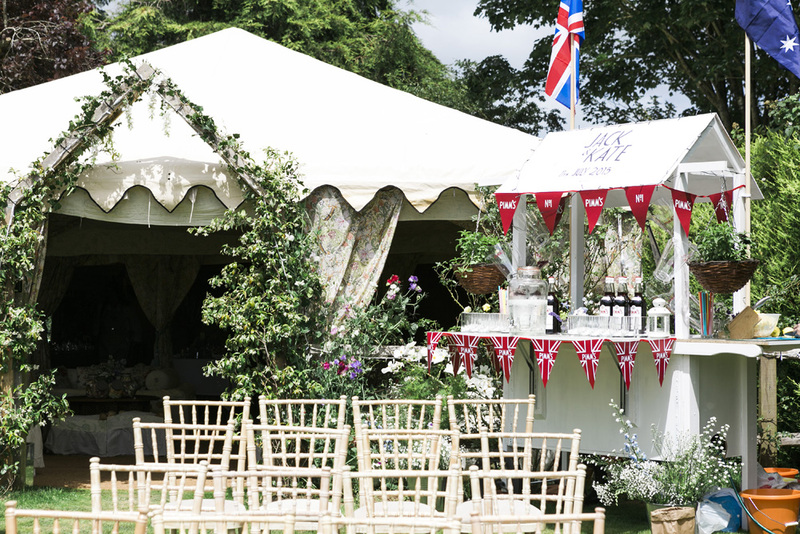 Take part in the Pimm’s Wedding Dash for your chance to win a wedding bash. Grab your other half (and a pair of comfy shoes), this is a competition not to be missed! RMW have teamed up with Pimm’s to offer one couple the chance to win £8000 to spend on services for their wedding day! The prize includes bespoke planning advice from Team RMW and your pick of suppliers from our wedding directory, The List, for your dream day. For £8000 you could choose an incredible photographer and videographer with a little spare change for stationery. You could choose an amazing florist and wedding stylist to help make your wedding look beautiful. You could choose your dream caterer and really treat your guests to a foodie day to remember! £8000 would also help to get you started on a beautiful venue or marquee package. The possibilities are endless and it’s a prize that will be tailored to you and your wedding – it’s your pick of our list! Here’s where the comfy shoes come in – all you have to do is win the Pimm’s Wedding Dash in London on 8th May, running hand-in-hand with your fiancé. To be in with a chance of taking part just send your names, DOBs, a contact number and a photo of the two of you to pimmsweddingdash@taylorherring.com. You must both be aged 25 or over. Entries close on Sunday 15th April and Pimm’s will announce who’s in with a chance of winning by Tuesday 17th April. For full Ts and Cs please visit the Pimm’s Facebook page. Win a wedding at the Waterside Resort Cornwall, worth £7,500! To celebrate its recent refurbishment, Waterside Cornwall is giving one lucky couple the wedding of their dreams, for free! This includes a wedding breakfast for up to 40, evening celebrations and a buffet for up to 80 people all in magical surroundings. Stargazers are in for a treat on Tuesday (February 19) when the moon travels closer to the earth than at any other time of the year. It means that the moon will look much bigger and brighter than usual. Best of all, the stunning event will be visible with the naked eye. This astronomical event is called the Super Snow Moon. It’s the latest in a list of astronomical spectacles due in 2019. So far we’ve had a super blood wolf moon in January. Others include the Eta Aquarids meteor shower – a shooting star display made up of debris from Halley’s Comet – in May, and the Perseid meteor shower in August. Meanwhile a rare planetary alignment will take place on on November 11 when Mercury will track across the face of the Sun. Known as a transit, it does not happen often. The last time was May 9, 2016, and it will not happen again until November 13, 2032. But until then its about about the supermoon. Here’s everything you need to know, including how and when to see it. The supermoon will appear on the evening of February 19. Your best chance of seeing it is to look to the skies from 15:53 GMT. Our Moon orbits Earth in an oval shape, bringing it closer to and farther from our planet as it goes around. At the apogee – the farthest point in this orbit – the moon is about 253,000 miles from Earth on average. Meanwhile, at the perigee – the closest point in the ellipse – the moon is about 226,000 miles from Earth. When a full moon appears at perigee, it’s slightly brighter and larger than a regular full moon, earning it the name of ‘supermoon’. Why is it called the Super Snow Moon? The ‘super’ is down to it being full and closest to Earth. The term ‘snow’ is the historic name given to the second full moon of winter by certain Native American tribes in the U.S., according to NASA . This particular supermoon is often referred to be several other names. In Native American tribes, this full moon was known as the Full Snow Moon, because the heaviest snows fell at this time of year. It’s almost sometimes called the Full Hunger Moon, since the snows made hunting difficult. If you miss this supermoon, there’s only one more chance to see a supermoon in 2019. Emperor OF Grace are having a Valentines SALE! Hello! Welcome to our Kingdom of Handmade Jewellery! We offer 10-20% OFF for Valentine’s Day. It is a good opportunity to buy unique, artistic, handmade jewellery and make your loved ones special! Cosyfeet, the company that makes extra roomy footwear for swollen feet, is offering an award of £750 as part of their Community Project Award. It’s available to registered charities or not-for-profit organisations working on community projects within Britain that support and enrich older people’s lives. Swanage Disabled Club were the proud winners of last year’s Cosyfeet Community Project Award. This wonderful charity used the money to rent a sea front beach hut for its members, to coincide with the Swanage Carnival and Regatta. To enter for the Cosyfeet Community Project Award 2018 apply online at:www.cosyfeet.com/communityprojectawardor call for an application form on 01458 447275. The closing date for entries is 31st July 2018. The winning organisation will be announced in September. We’ve partnered with our friends at URBAN OUTFITTERS to offer the ultimate festival giveaway! £500 to spend on clothing plus two tickets to KALA festival in Albania! Source: ENTER HERE FOR A CHANCE TO WIN! COMPETITION: FANCY WALKING OUT AT WEMBLEY ON CUP FINAL DAY? We’re giving young fans between the age of 7 and 11 the opportunity of a lifetime – to walk out with their team at the Emirates FA Cup Final on Saturday 19 May. To be in with a chance of stepping onto the hallowed Wembley turf alongside your Chelsea or Manchester United heroes, please enter your details here by 5pm on Wednesday 9 May 2018. Winners will be notified on Thursday 10 May. The FA is not responsible for sourcing or providing travel or accommodation plans as part of this competition. The triangle shaped tortilla chip was popularized by Rebecca Webb Carranza as a way to make use of misshapen tortillas rejected from the automated tortilla manufacturing machine that she and her husband used at their Mexican delicatessen and tortilla factory in southwest Los Angeles. Carranza found that the discarded tortillas, cut into triangles and fried, were a popular snack. Where is National Tortilla Chip Day? When is National Tortilla Chip Day? The UK’s favourite sitcom family are back with a brand new series of All Round To Mrs Brown’s! Mammy will be opening the door to her home once again inviting us in for an unmissable, jam-packed night of entertainment. Agnes and the family will be providing a star-studded line up, including Cathy’s celebrity chat show, fun and frolics in the kitchen with Chef Aly, more dubious business ventures with Dermot and Buster, live music in Foley’s pub and fantastic surprises you won’t want to miss. Apply now for your chance to get the best seat in the house! There will be chances for audience participation too, so if your application is successful a member of the production may be in contact soon! You can register at any time until 10pm on Monday 5 March. You can register for tickets for as many recordings as you like but, should you be successful in the random draw, you will only receive tickets for one show. Tickets for this show are strictly non-transferrable. Photographic proof of ID must be shown. If you cannot provide this proof you will be refused entry. Please see our FAQ for a list of accepted forms of photo ID. If your photo ID does not match the name on the ticket you will not be admitted. If you request two tickets because you are taking a guest along, that person will only be allowed in if they are accompanied by you. To enter the random draw visit bbc.co.uk/showsandtours.